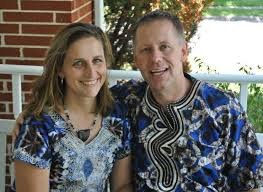 In a special announcement in the opening segment of today's show, Mark and Peggy Halvorsen-- joined in studio by WWIB General Manager, Terry Steward, and WWIB Program Director, Greg Steward--announced their plans to move with their four children to Liberia later this summer. They will work with their ministry, Teamwork Africa, as well as a ministry they partner with, The Last Well. E-mail and phone reaction from the end of the hour is added to the opening segment audio.